The Behavioral and Social Sciences Student Success Center offers the resources our students need to thrive in their chosen field. The center is a unique space located in bustling Butte Hall where students can drop in to receive academic support, provide academic assistance (one stop tutoring help for all students in BSS majors), test preparation, study and writing skills, professional development, supplemental instruction, financial aid and scholarship application assistance, and peer mentoring. It also serves as a central meeting space for class study and group meetings. Our Study Assistants, who represent all BSS majors, play a key role in helping students better understand class lessons or homework, refresh their writing skills for a research paper, and learn or review successful study techniques. 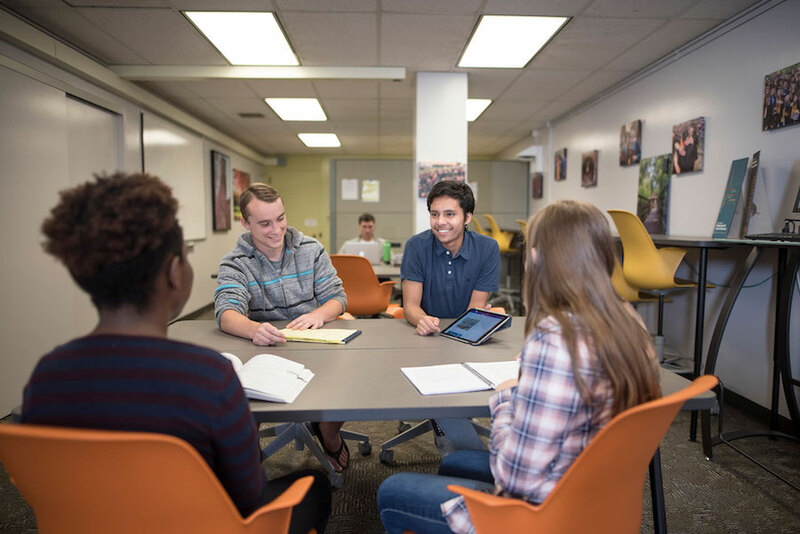 The Success Center was established so that students can easily meet with tutors or with classmates for group work or as a place to get some homework done. 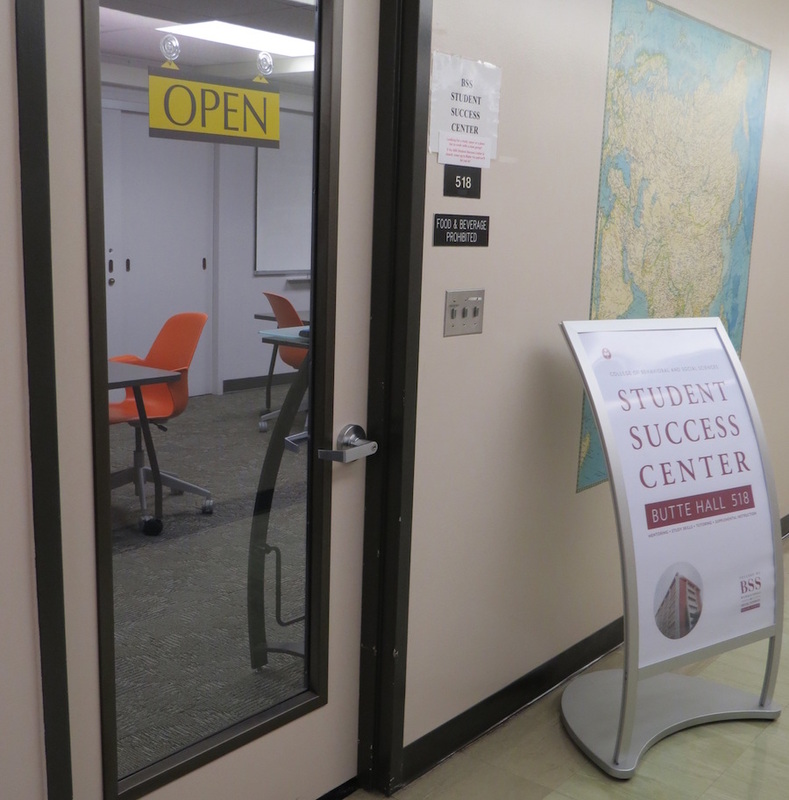 Located in Room 518, the Student Success Center (PDF) is open for your use!